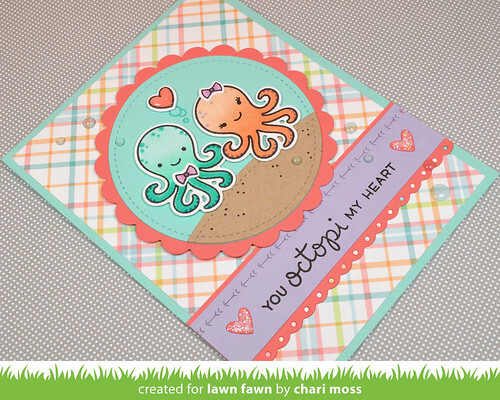 Today we continue Lawn Fawn Inspiration & Release week with a super cute mini set Octopi My Heart and new stackable dies! 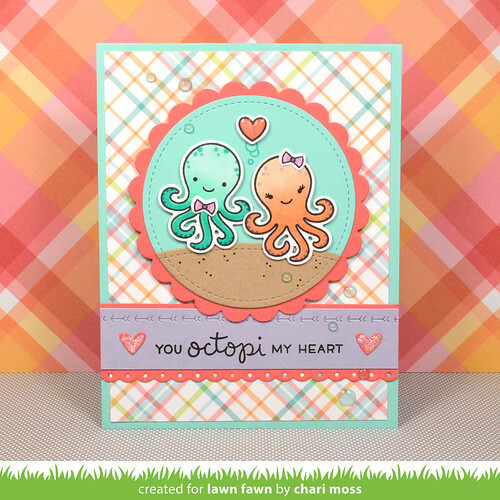 My first card features the new Octopi My Heart mini set along with a peek at the new Valentine Border dies. I colored the little Octopi with copic and added some lashes to the girl. I also used my new obsession, Nuvo Jewel drops, to add some pale blue bubbles around the card. 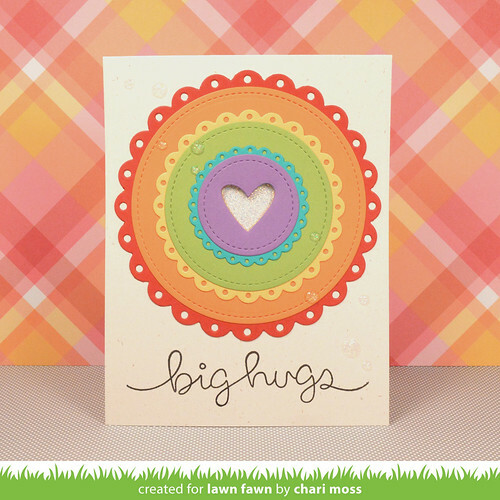 My second card features the new Fancy Scalloped Circle stackable dies, there are also Fancy Scalloped Rectangles as well. 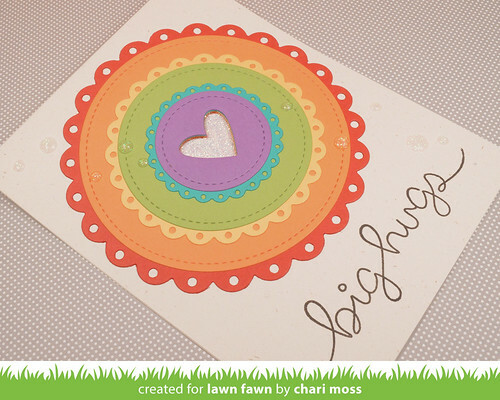 These new circle dies coordinate with the existing circle dies available from Lawn Fawn and as you can see I paired them the stitched circles and stacked them to create a fun rainbow doily on my card. I die cut a heart in the same place in all my circle to create a deep negative die space in the center where you can still see all the colors of cardstock stacked up the sides. I finished off with a sentiment from Big Scripty Words and added some Nuvo White Blizzard Glitter drops scattered about for some subtle shimmer. Be sure to check out the Lawn Fawn Blog for more projects with these new products as well as giveaways! Oh these little critters are darling! Super fun cards! Love the colors you used on the octopus card. very cute! love the pretty colors and that Octo-couple is too cute!